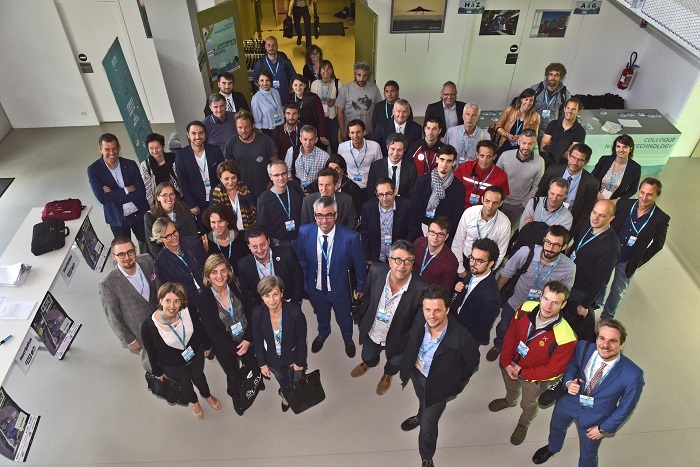 Outdoor sports industry representatives – including Rip Curl and Quiksilver – sports federations, risk management and public bodies recently met with start-ups and experts in satellite applications in surfer haven Bayonne, France. The event was co-organised by Eurisy, the local government of the Pyrénées-Atlantiques, and Capital High Tech, an aeronautic consultancy. 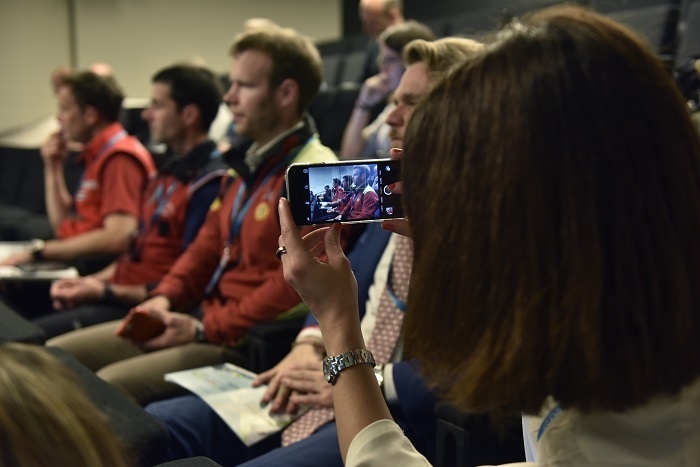 The conference explored how sport lovers, industry or public authorities can benefit from satellite based services, be they connected devices or smartphone apps. But it was also about much more than that. The conference highlighted how public authorities can boost an emerging industry by piggybacking on an established one. It addressed the question of: How can public authorities link up different sectors to unleash the potential of innovative niches? Both industries – aerospace and the outdoors —are strong in the Département. On the one hand, EuroSIMA, the European Surf Industry Manufacturers Association, who supported the conference, represents the region’s “champion industry”. The association, based in the Aquitaine region, represents 122 brands which generate an annual global turnover of €1.5 billion. They offer 3,500 jobs across the region. Indeed, the Pyrénées-Atlantiques Département and the Aquitaine region are famous worldwide for their beaches, therapeutic waters and thriving surf scene. 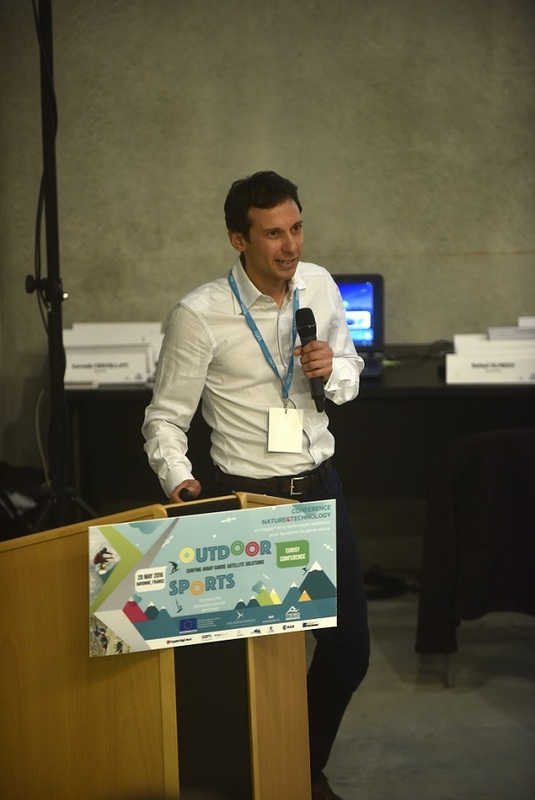 As a playground for mountain and water sports lovers, it comes as no surprise that the outdoor sports industry chose the Départementas a host. The value and potential for growth in the outdoor sports market is significant. It was estimated at €285 billion in 2015. Board sports cover 16 % of this market and growth expectations are looking bright at a 6% yearly growth rate. Given the market value of the two industrial polls, “this conference couldn't have happened anywhere else than Pyrénées-Atlantiques” as Yannick Ghiron, Capital High Tech Associate Director put it. On the other hand, with its 12,000 jobs, the Département is home to France’s 3rd largest regional hub for the aerospace industry. At the heart of the Département also stands Aerospace Valley. Hosted both by the Midi-Pyrénées and Aquitaine regions, the organisation is the most significant competitiveness cluster in France in the field of aeronautics, space and embedded systems. Finally, in Europe, 70% of EU legislation has a direct regional and local impact . Thus, local public authorities play a vital role in implementing top-down policies and legislation. At the same time, their size and in-depth knowledge of their citizens and businesses needs enable them to embark on impact-driven initiatives benefiting both. The “Nature & Technology” programme launched by the Pyrénées-Atlantiques Département in 2011 is such an initiative aimed at stimulating cross-sector innovation. Their and our challenge was that “these two communities —the outdoors industry and space — don’t speak the same language”, as Frédéric Basse, co-founder of Rip Curl Europe and EuroSIMA President observed. Moreover, they belong to different working cultures and follow distinctive business models. Their interactions are not linear, nor are theynatural interlocutors. Although (as we’ve seen during the conference) the outdoor industry has been considering some innovative satellite applications, notably location-based, most companies in the field are not purposely considering adopting satellite services. Associating satellite applications to outdoor sports might have raised a few eyebrows in surprise, but the connections were there. Eurisy and its partners set out to showcase them, and the benefits of cross-sector fertilisation. In practice, we paired together confirmed users of satellite technology, including start-ups, with potential ones. Were their use cases transferable? Do they need further adaption to work in the French context? And if so, what structures would allow for a faster and more efficient knowledge transfer? What business models proved to be successful and what role can public authorities play in all of this? How can the latter stimulate cooperation between the two polls and in turn drive economic development? These are just a few of the questions we tackled with our guest speakers and experts. The central themes were: the need for better data and information; connected objects and how they impact sports; safety and rescue. Two examples of transferable services were provided by UK’s Fatmap and Israel’s Trailze, which use Earth Observation and crowdsourced data to bring ski slopes, hiking or biking tracks directly to your smartphone. What do these apps have in common, except an already established user pool? Lots of data, from multiple sources! Such data—or obtaining data in a similar way—could be valuable for other users in the Département, such as the local hiking federation. In the case of the latter, to map hiking trails its staff must travel on foot and then validate trails manually before uploading them on its portal. Hikers can report anomalies, but only when they get home, on a website. Crowdsourcing and smartphone apps would seem good solutions in this case. But such institutional users are circumspect about crowdsourcing, at least for the moment. One reason is quality insurance for the mapped trails. It is considered that since the federation staff can’t manually validate crowdsourced information, it cannot endorse or use it either. An alternative is using data certified by other institutions, such as the IGN (the national French mapping agency), which is already the case to a certain extent. But it would be a pity all the same to miss the potential of crowdsourcing. The fact that Trailze, for instance, has 65,000 users so far shows that the users generally tend to trust and make good use of crowdsourced information. The case of risk and security for outdoor sports practitioners is different of course. There, it is crucial for rescue teams to use fully reliable maps when intervening in emergency situations. Crowdsourcing could be a complementary source of information, but not the main one. An example of such reliable sources in safety was provided by CNSAS, the Italian Alpine Cliff and Cave Rescue Corps. They already use EO and satnav to model the landscape and map the most effective itineraries during rescue missions in difficult environments and saving lives. But even they have made the most of the fact that most people nowadays have a smartphone, by developing and app which, when triggered, allows rescue staff to locate the person in need of help. In that sense, people become an active part in the rescue operations, and do contribute punctual information. Technology transfer and cross-sector collaborations seem not only possible, but needed. Public authorities can and need to act as facilitators not only between start-ups, SMEs, and support structures such as the Aerospace Valley or CNES’s CCT Applications. They can go a step further and assertively pursue cross-sector integrating policies to include businesses from the outdoors and other sectors, institutional users as the first client, providers, and last but not least, the collective intelligence of their citizens. Go to Eurisy’s website for more details on the event.